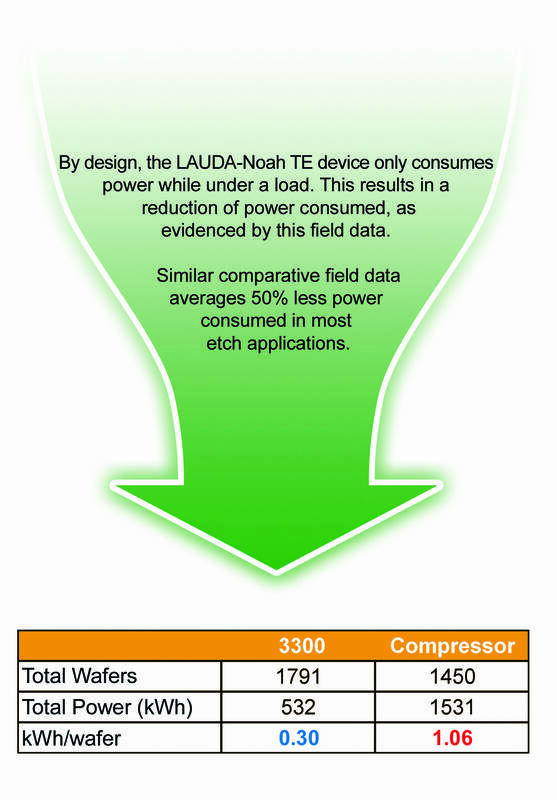 The LAUDA-Noah POU chiller, by design, utilizes an average of 50% less power than compressor based units. 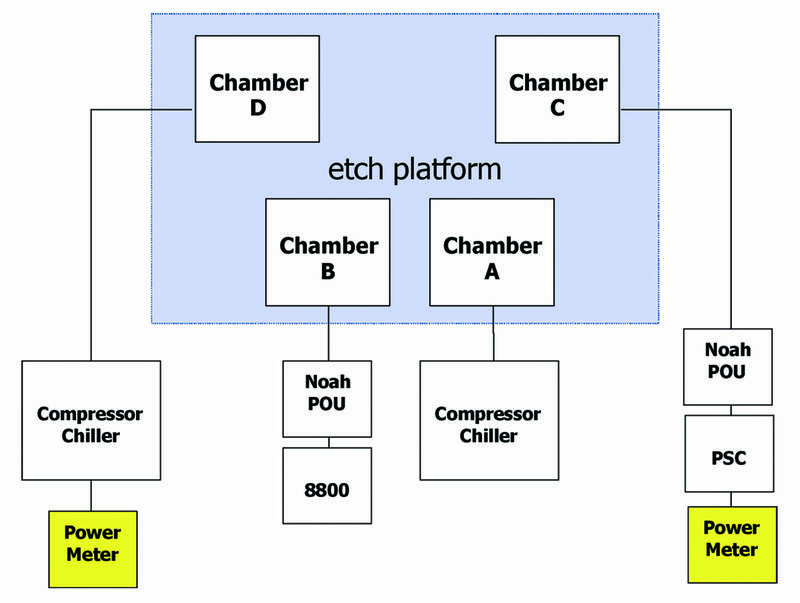 Having only one moving part, the LAUDA-Noah POU chiller only consumes power when under a load. When installed and optimized, a LAUDA-Noah POU system will operate at ~20-30% of its peak power consumption, offering our customers significant reduction in operating costs and increased reliability. The data set here is from a 200mm volume production wafer fab and clearly illustrates the benefit of the LAUDA-Noah POU system.